A. In todays world technology is ever changing. Everyday more and more people are using the internet to assist in daily decisions. A web presence is a must to be successful. A website will allow potential customers a quick view at what your store has to offer. A shopper may simply want to know your store hours, your store coupons or sales, or maybe just an address or map to your store. Whatever it is, make sure YOUR AVAILABLE!!! Q. Does your company collect data and personal information for any reason? A. ThriftStoreWebsites.Com is not in the business of marketing and/or research, therefore we have no need for any personal information or web data from your website. We will never use, sell, or collect any data from your website. We want you to know that once you are a member of ThriftStoreWebsites.Com, security and/or privacy will never be compromised. Q. Why should I use thriftstorewebsites.com as opposed to another website builder? A. Not only is our thrift store site builder the easiest building tool on the web, it also comes with over 40 content filled pages and lots of tools that are dedicated to making your Thrift Store successful on the web. With our building tool you are only a few clicks away from having an up and running thrift store website. You can even (for a fee) have our design team do the work for you, and then train you personally to update and make changes to your website. At ThriftStoreWebsites.Com we want to give you all the resources and ability to make your website a fun and beneficial experience. We are the ONLY Thrift Store Dedicated Service available online today! Q. Will you advertise on my website? A. There will be no advertising on your site unless you add it. Your site is your site, you have full control of everything on it. A. We are constantly working on new tools and features for our thrift store site builder. You will have FREE access to all future updates, upgrades, tools, and features that are developed for our site builder. Better yet, if you have an idea on something you need for your website let us know and we will see how we can help you. A. Our team will help seamlessly transfer your current site over to our service. You can then use our thrift store site builder to take full advantage of the tools and features we offer to further enhance your thrift store website. A. 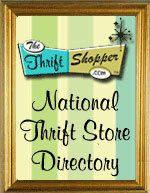 When you sign up for our 30 day trial you will choose a store name and it will start in our sub-domain, so your address will look like this: www.mythriftstore.thriftstorewebsites.net. During your 30 day trial we will assist you in getting your own personal web address. (ex: www.mythriftstore.com) If you already have your own domain name then we will assist you in transferring it also. Q. What if I don't have time or am very new to the internet? Q. Is there a limit to how many pages I can create for my website? A. No limit! You can make your website as big or small as you want. Q. What about Email addresses? A. We will give you 5 email accounts when you sign up. That means you can have your own branded (name@mythriftstore.com) e-mail addresses. You may also link your site to your current email address if you choose. Got a question not answered here? Email us and we will get you an answer ASAP.